Almost by definition, freelance writing is a profession that demands individual interpretation and method. Because freelance writers and journalists are essentially self-employed, there is a great deal of flexibility involved in this sort of work – but also a great deal of responsibility on the writer’s shoulders. Ultimately, succeeding in your particular writing environment depends mostly on what works best for you. But in this line of work, any tip could be the one that helps you to improve your professionalism or efficiency. 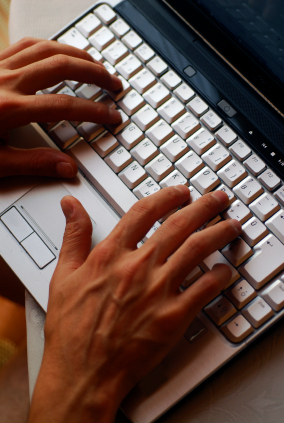 With that in mind, here are 5 general tips for advancing your career in freelance writing. Freelance writing means working on one’s own time, and in one’s own space. It can often be tempting to be very casual and relaxed about work hours. However, most freelancers tend to do their best work if they set up a specific writing office or location and designate specific amounts of time to their work. This will help you to fully dedicate yourself to your projects when you need to. One of the many responsibilities of freelance workers is to negotiate and understand compensation. To do this effectively, it is important to do a bit of research – find out what your work should be worth based on other examples and unofficially established pay rates for similar work. Once you have gained a certain level of expertise in a given niche of writing or a certain type of project, you may be able to charge more for your time and effort. These days, efficient and secure communication is absolutely crucial to any sort of online work venture. Of course, that can mean different things depending on your arrangement. But whether it means purchasing a smart phone to be easier to reach by email, setting up your own website where you can be contacted, or even investing in secure file sharing and data storage through a service like ShareFile, efficient and reliable communication is a must for any independent professional operating online. This step is fairly self-explanatory, though it is still a vital one to include in your preparations and practices. Thorough records help you to gauge your own work, track acceptances and rejections of your content, and have a more detailed understanding of the connection between your work and your income. Once you have consistent writing projects to keep you busy, it can be tempting to settle for existing work. However, to best position yourself for future work, it is important to market yourself constantly. Advertise yourself online, communicate with other writers you know, and ask for references from clients. Steps like these can set you up for success when it comes time to expand business or simply move on to the next project. This is a guest post by Tom Knight. Tom is a freelance writer and blog contributor who covers topics relating to online business. This entry was posted in Uncategorized and tagged 5 tips for freelance writers, advice, freelance, freelancing 101, guest post, tips, writing by nmeunier. Bookmark the permalink. After starting my blog and getting some attention with it, I’ve been asked to write freelance here and there but although I love writing I’m a total noob when it comes to freelance writing so this article was actually very helpful. Thank you!